All it takes to be Sunny Leone is GUTS. 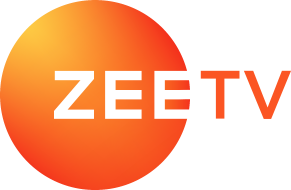 The same is depicted in the ZEE5 Original Karenjit Kaur: The Untold Story of Sunny Leone starring Sunny, Rysa Saujani, Karamvir Lamba, Grusha Kapoor, Bijay Jasjit Anand, and Marc Buckner. Divided into two seasons, the biopic takes us through the sensational journey of India’s ‘Most Googled’ celebrity Sunny Leone. From a middle-class shy Sikh girl bullied in school to a popular Indo-American adult movie star Sunny Leone who made an entire generation go crazy, it has been quite a ride. She moved onto a new chapter when she came to India and is now a renowned mainstream Bollywood star. Spilling the beans on her family, boyfriend-turned-husband Daniel Weber, Karenjit Kaur: The Untold Story of Sunny Leone is an eye-opener in every sense! Ahead of the finale of season two, we sat down with Sunny for a tete-a-tete. Clad in a hot red animal print dress, stylish black boots and a bright smile that could even dim the sunlight, Sunny spoke about her adorable kids (Nisha Kaur Weber, twins Asher Singh Weber and Noah Singh Weber), husband Daniel Weber, motherhood and more. During our exclusive conversation with Sunny, we asked her three things she does before going to bed every night. The doting mommy replied that her night routine includes kissing her kids‘ goodnight for the last time in the day before she pushes off to bed, washing her face and of course, brushing her teeth. Given her fit-astic physique, it doesn’t come as a surprise that health and hygiene are top priorities in Sunny’s everyday routine. When quizzed about that one thing about her better half Daniel that nobody knows, Sunny responded, “That he is extremely goofy. He might look a little intimidating but he is so funny.” We bet he does look like one chilled-out guy! Stay tuned for the season finale of Karenjit Kaur: The Untold Story of Sunny Leone drops on ZEE5 on April 5, 2019.